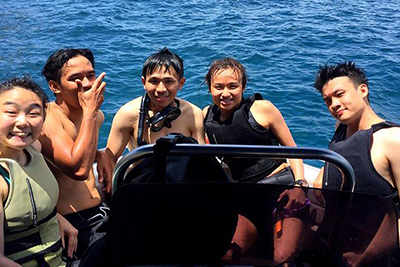 For your total comfort and convenience, we organize for you a 4-5 hours trip around Koh Tao on our private speedboat. 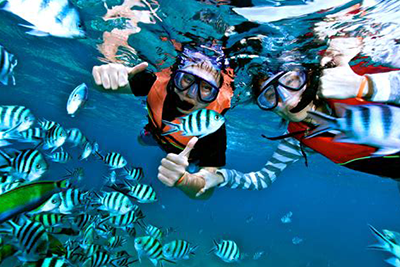 Obviously, we bring you to wonderful snorkeling spots and try to avoid crowdy schedules and big boat tours. 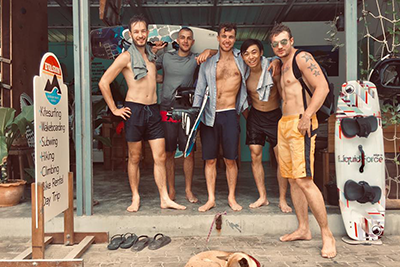 You can also add some fun to your trip with a tubing session (pay extra 600 THB for 10 minutes per guest). Combine fun, sensation and peaceful time in one day! We have everything you need on board for a perfect entertainment! First, we bring you to quiet bays only accessible by boat for some snorkeling with wonderful tropical fishes. After getting immerge in a clear water, let’s start to fly underwater with a Subflying session. Finally, test your surfing skills on the surface with wakeboarding, kneeboarding, waterskiing and/or tubing. Each guest will be fully satisfied. The best day of your holiday, guaranteed! Get the best combination! 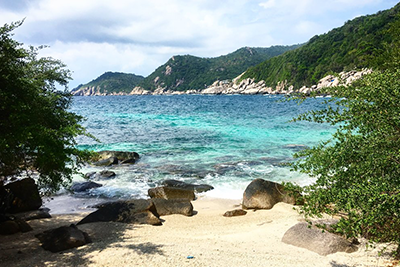 See Koh Tao landscapes and Underwater gems in one day! In the morning, we go for a 3 hours guided hike around the island including 3 view points and a stop to a private snorkeling bay. 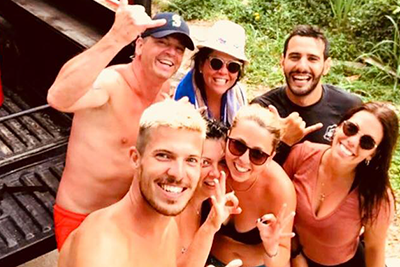 In addition, you enjoy a meal on the beach and you get picked up by our private speedboat which will bring you to an afternoon snorkeling tour around half of the island.